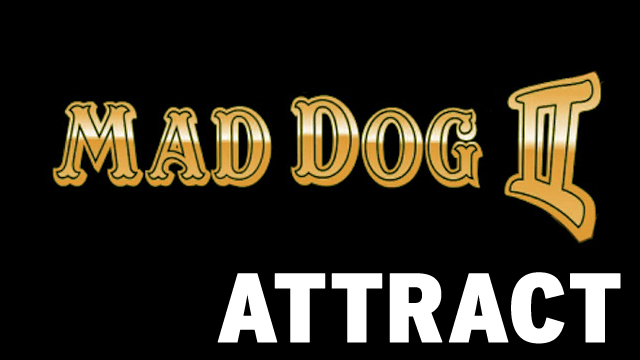 "MAD DOG II: THE LOST GOLD"
A live-action adventure that challenges your shooting skills by confronting banditos, renegades, and Mad Dog's men. Select one of three different guides and experience a variety of trails in a quest to beat Mad Dog to the lost gold and return with it to the old mission wher the longest interactive battle ever filmed awaits the more-skilled game player. 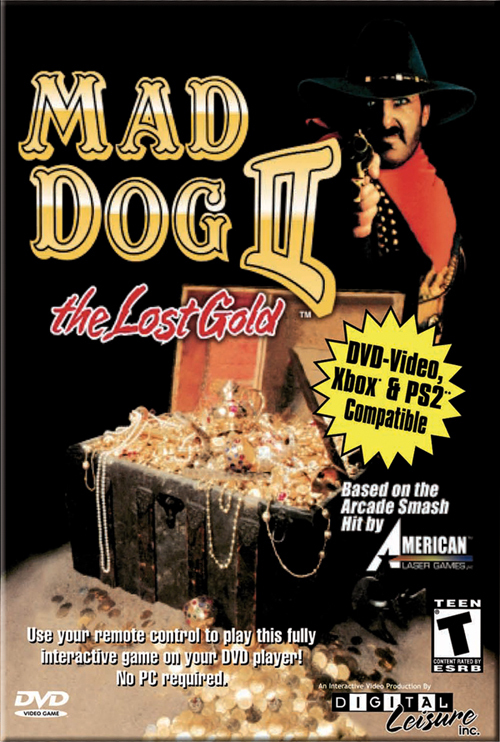 • Mad Dog McCree was the first arcade game released by American Laser Games (1990). 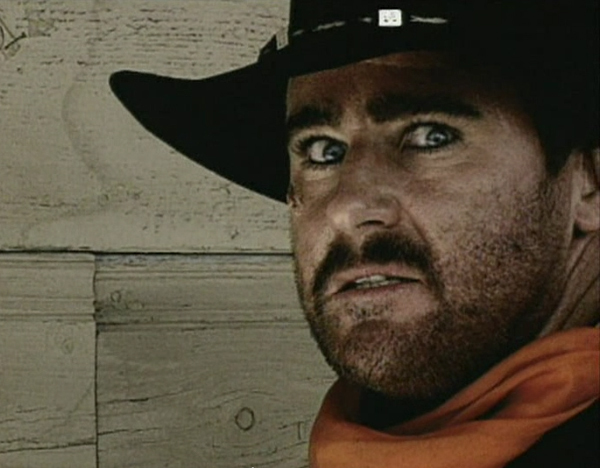 • Actor Ben Zeller (The Prospector) appeared in a total of three games for American Laser Games; Mad Dog McCree, Mad Dog II and Space Pirates. 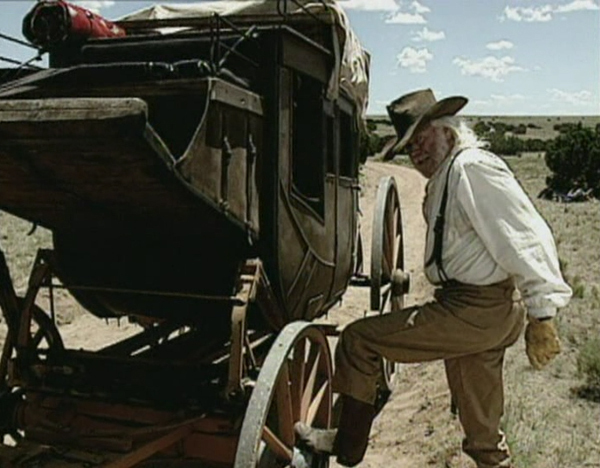 He's also appeared in the films "Silverado" and "Wyatt Earp." 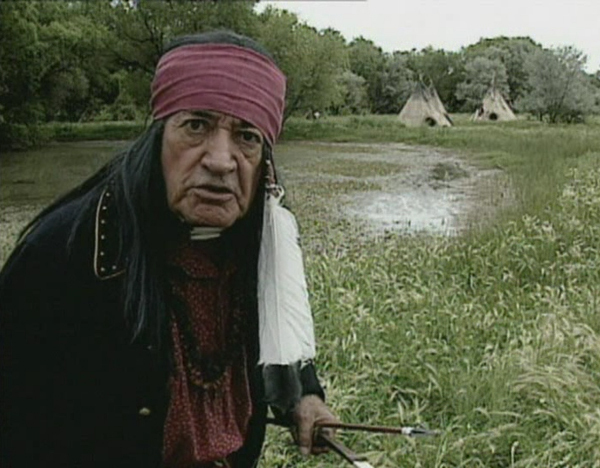 • Digital Leisure re-released the game for DVD in 2001.